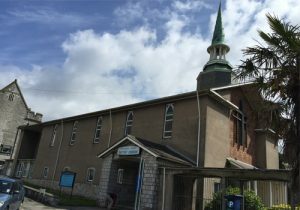 Baptist Church Plymouth – Catherine Street Baptist Church is a friendly congregation located in the heart of the City Centre. We have been welcoming worshippers to our fellowship for almost 400 years with links right back to the Pilgrim Fathers. Catherine Street Baptist Church would love to invite you, your family, and your friends to come along to our Sunday Morning service (11 am every Sunday), and sample what we have to offer. You’ll be sure to find a warm welcome and a relaxed atmosphere, with something for everyone. Copyright © 2019 Catherine Street Baptist Church.